Beautiful, isn’t it? With the new Magic 2015 frame and the bulleted-list modal spell templating introduced in Khans of Tarkir, Krenko’s Command is looking sharper than ever and ready to dominate at tables near you. Now, this is of course a reprint, but we thought we’d still go over each mode and talk about it in the context of the Modern format, as well as in Modern Masters 2015 Limited play. 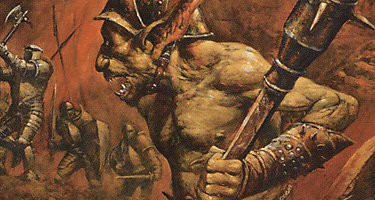 • Put a 1/1 Goblin creature token onto the battlefield. 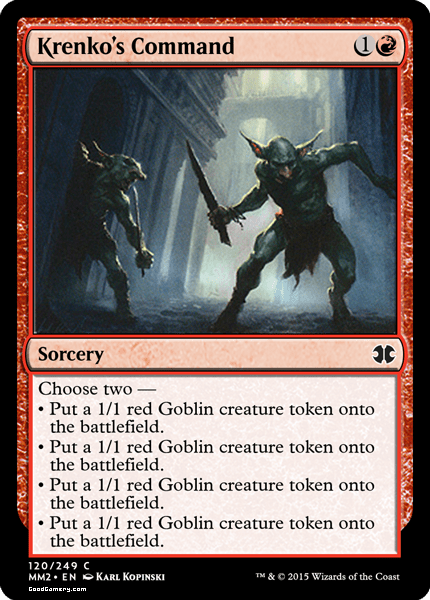 This first mode, put a 1/1 Goblin creature token onto the battlefield, is the one that’s likely to get used the most. A 1/1 token by itself isn’t super relevant for Modern constructed, but of course that’s not all this card does. And there are plenty of Constructed-playable ways to take advantage of having lots of small creatures. 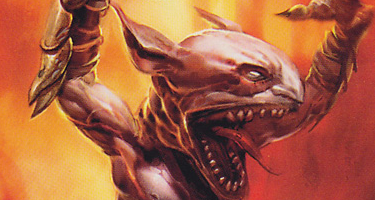 In Limited, this mode plays right into the plan of the Red/White tokens deck, with Intangible Virtue, Trumpet Blast, and Swell of Courage to turn a horde of small creatures into a lethal attack. The second mode, put a 1/1 Goblin creature token onto the battlefield, is a bit more narrow than the first mode, but it really shines on the right board. Even in a format as powerful as Modern, an unopposed creature can win you the game. Pair this with red removal spells like Lightning Bolt, Flame Slash and Shivan Meteor to clear a path and twenty turns later this token will lock up your victory for you. This mode of Krenko’s Command happens to play exceptionally well in Modern Masters 2015 Limited in the Red/Black “attacking with creatures” archetype, based around the interaction between creatures turning sideways and your opponent’s life total. 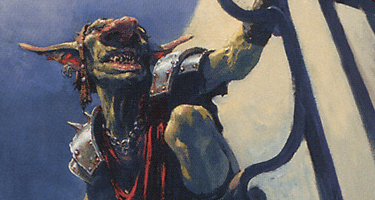 The third mode, put a 1/1 Goblin creature token onto the battlefield, may not seem like much, but it’s potentially the most powerful of them all. Here’s a dirty little secret for you – Path to Exile gets played extensively in Modern. When your opponent casts one on your creature, it’s great – you get a land! But you have to have creatures, or you won’t be able to ramp off of your opponent’s removal spell. This mode of Krenko’s Command gives you a creature for your opponent to Path. It’s basically Rampant Growth! And in Limited, that lets Krenko’s Command slot right into the Red/Blue Landfall archetype. There’s nothing better than the look on an opponent’s face when she realizes your Geyser Glider is going to gain flying because she cast Path to Exile on your Goblin token. 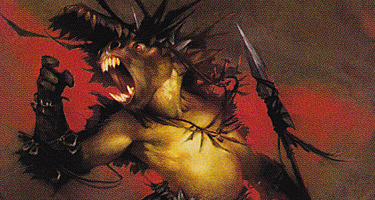 The fourth mode, put a 1/1 Goblin creature token onto the battlefield, is likely the weakest, especially in Constructed, where blocking happens much less frequently. Still, the token can block and trade with X/1s, and there are X/1s that get played in Modern, like Vendilion Clique, Pestermite, and Auriok Champion. At worst, you can chump block a Siege Rhino or a Primeval Titan. In Limited, it’s a bit better because making a 1/1 token to block is exactly what the Red/Green “blocking with creatures” archetype wants to do. Still not great, but this is a Command we’re talking about, and this mode will save your bacon when you need it. And that’s just the basics of what you can do with Krenko’s Command. We here at Good Gamery are thrilled that we’ll get to play with this classic card again, and we’re looking forward to seeing what an entirely new generation of players will do with such a flexible, powerful card. Until tomorrow, may your Magmaw be fueled by many Goblin tokens!